Kuote is an applet for the KDE panel, inspired by Gnome's Wanda the Fish. It displays an animated character (a fish by default), which pops up quotes generated by the fortune(6) program when clicked (and optionally shows them in tooltips, too). Kuote is free software, licensed under the terms of the GNU General Public License. 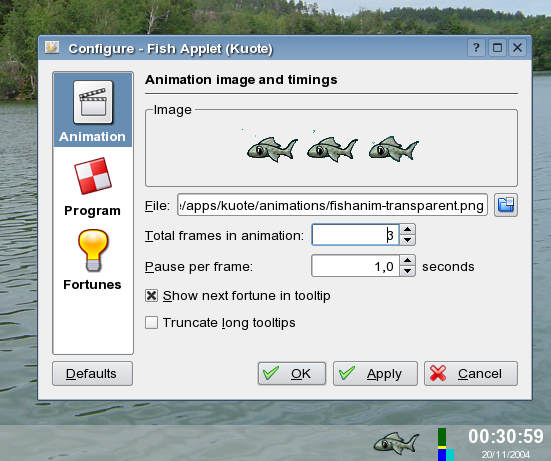 For more information, visit Kuote Fish Applet homepage (hosted by kde-apps.org).